Vote now and have your voice heard. It’s all part of our Best of Washington reader survey. Some of your votes for the best of Washington in 2018. What will 2019 look like? Illustration by Alex Fine. 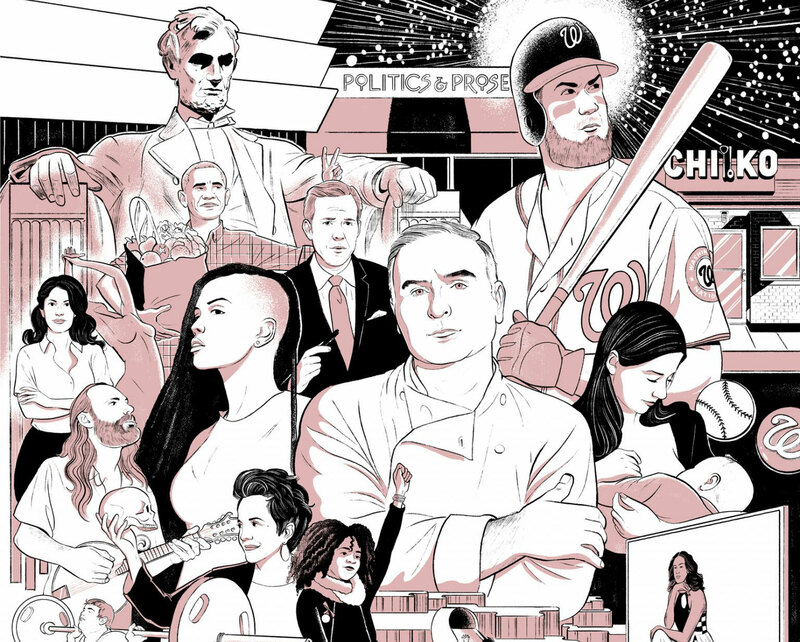 In June, the magazine will publish its annual Best and Worst of Washington guide, chock full of picks for the area’s “bests” of just about everything—including burgers, yoga studios, politicians, and more. Now’s your chance to weigh in and tell us what you think are some of the very best things in town. Plus, you could win a pair of tickets to the best party of the year, our Best of Washington bash, June 6 at the National Building Museum. You can take our full Best of Reader survey here. The survey closes on April 1, 2019, at 11:59 p.m.
Or, take our short weekly poll below.